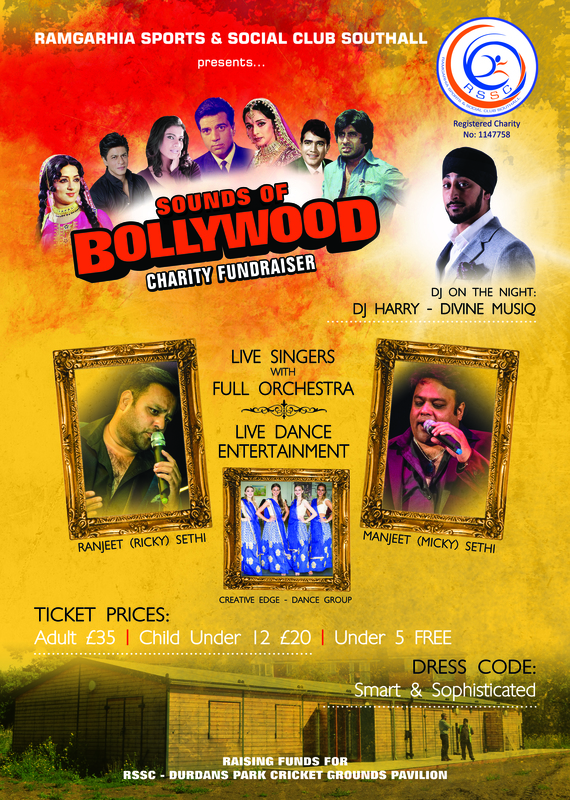 Ramgarhia Sports and Social Club (RSSC) presents a night of live Bollywood music and entertainment. 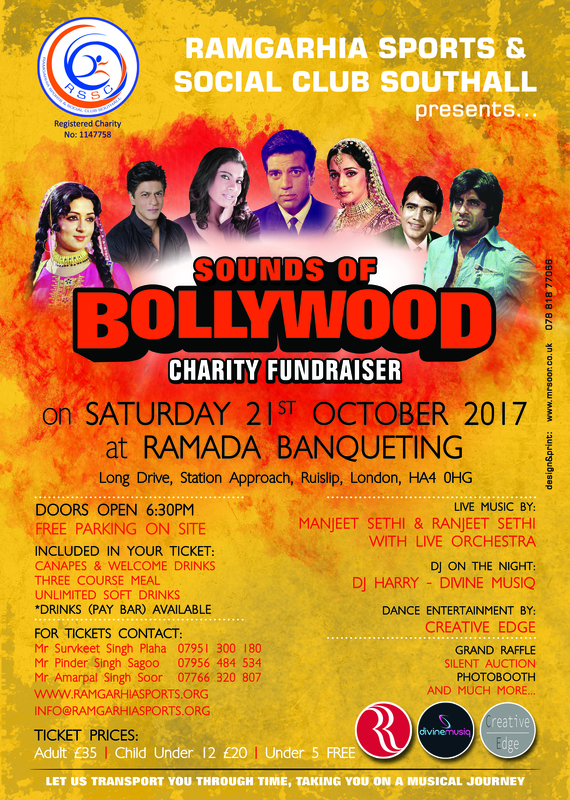 Come and enjoy live music performed by the famous Ranjeet (Ricky) Sethi and Manjeet (Micky) Sethi together with full orchestra. Live dance entertainment will be performed by the Creative Edge Dance Group, all followed by an open dance floor for those who like to party with DJ Harry from Divine Musiq leading the entertainment. An event not to be missed! All funds raised will go towards the Durdans Park Cricket Grounds Regeneration Project at Adrienne Avenue, Southall. The construction of the new English Cricket Board approved pavilion is complete and the cricket pitch will be ready for use for the 2018 cricket season. To date RSSC has raised £650,000 through various grants to finance this development. We now have a target of £50,000 to go towards the installation of CCTV, gated security, cricket training nets and fitting of a bar and furniture in the pavilion.